We are providing the in-depth Nokia X71 Review that has some really interesting features and a lot to offer. 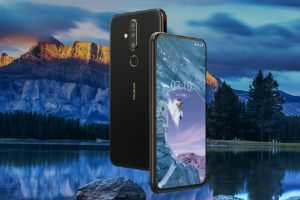 The branded Smart phone Company Nokia has launched Nokia X71 with a new Punchhole camera (entirely surrounded by screen) and other latest features in Taiwan. It is a mid-range smart phone that equipped by the Snapdragon 660 SOC processor. It comes with 6.39 inch full HD Display resolution that aspect ratio as 19.3:9. It has 6GB RAM and 128 GB Internal storage that is too enough for store applications, games, and software. In terms of camera this mobile has triple rear camera with LED Flash light which consist 48 mega pixel primary sensors, 5 megapixel depth sensor with f/2.4 aperture and 8Megapixel ultra wide angle lens with 120 degree Viewing angle. It’s the most flexible kind to a regular snapper, an ultra-wide cameral and a 2x zoom shooter. It runs on latest Operating System Android 9.0 Pie. Talking about Nokia X71 display design, it makes use of the double glass sandwich design with a metal frame sitting between two sheets of 2.5 D hyper bolide Glass. Its dimensions are 157.19x 76.45×7.98 and its weight is 180 grams. Its impressive screen to body ratio of 93 percent and it supports for 500 nits of brightness and 1:1400 contrast ratio. In addition, power button with breathing light that alert when missed calls and new messages. It has a finger print sensor that works very well. It supports all basic connectivity like as 4G Volte, Wi-Fi 802.11 ac, Bluetooth 5.0, GPS and others. It ready with 3.5 mm headphone jack and OZO 360 degree surround technology. It consist 3,500 mAh batteries that charge quickly through USB-C that supports 18W rapid charging. Nokia X71 makes use of the double glass sandwich design with a metal frame sitting between two sheets of 2.5 D hyper bolide Glass that makes the phone too protective. The power and volumes button are set on the right side of the phone. . Its dimensions are 157.19x 76.45×7.98 and its weight is 180 grams. It comes with a big 6.39 inch full HD Display resolution that aspect ratio as 19.3:9 which provides ultra HD quality. Nokia X71 equipped with Qualcomm Snapdragon SoC 660 Octa core processor that runs 1.8 GHZ which provides good performance without slowdown user interface. So you can play fast heavy games like as PUBG, Apex Legends as well as enhance the gaming experience. It comes with 6GB RAM and 128 GB Internal Storage with a micro SD Slot. More storage capacity allows you can store more applications, songs, videos, photos and software program. With the help of lots RAM you can run more than one applications at a time which makes the mobile faster. This smart phone comes with triple camera where the rear packs a 48 mega pixel primary sensor with an f/1.8 aperture, 5 Megapixel depth sensors with f/2.4 aperture and 8Megapixel ultra wide angle lens with 120 degree viewing angle. The rear camera setup has autofocus. It has 20 MP front cameras for selfie. Triple camera is useful in enhancing certain effects like blur, zoom and wide angle photos. You can take sharp and clear pictures in low light with the help of flash light. You can easily take your own photos and do video calling with the help 20 MP of front camera. Nokia X71 supports all basic connectivity like as 4G, Volte, Wi-Fi 802.11 ac , Bluetooh5.0, GPS, Dual SIM, LTE and other connectivity. 4G enable handset give you more download speed and a faster internet experience. Wi-Fi allows you to use your internet connection on your Wi-Fi enabled laptop. Bluetooth enables you to wirelessly listen to music and calls using Bluetooth headsets. Volte allows you to make calls over 4G network. GPS used for determine your location and help you to search direction to a place. It has a Fingerprint sensor on the back side and other useful sensor like as Ambient light sensor, Gyroscope sensor and 3D face recognition sensor. All sensors work so smoothly. Nokia X71 containing a 3500 mAh fast charging battery you can complete charge this battery in 90 min through USB-C charger that supports 18W rapid charging. 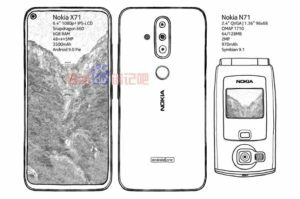 The Nokia branded company has been announced, Nokia X71 launch on 2nd April 2019 In Taiwan. It is expected to hit the Taiwanese market on April10. The price of Nokia X71 at 11,990 NTD ($388). It comes in sole colour options of Eclipse Black. After the testing all over Nokia X71 Review, Nokia X71 is a very attractive and bold smart phone that is going to launch in Taiwan on 2nd April 2019 with the latest Punch hole camera features. I hope, upcoming days this mobile will be launch all over the World.